FOR ALL JAPANESE AND EUROPEAN IMPORTS TURBO, NON TURBO, AUTO & MANUAL. 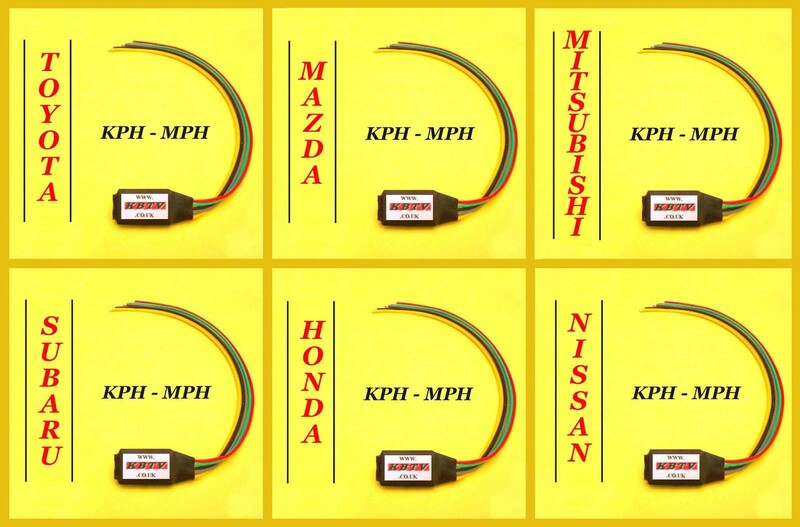 ALL VEHICLES WITH AN ELECTRONIC SPEEDO. IF YOU HAVE AN IMPORT VEHICLE THAT READS IN KMH THIS UNIT WILL CONVERT THE ELECTRONIC SPEEDO FROM KMH TO MPH, WHICH ALLOWS YOU TO KEEP YOUR ORIGINAL CLOCKS IN PLACE. WHEN FITTED YOUR CLOCKS WILL BE 100% ACCURATE. YOUR VEHICLES ODOMETER WILL ALSO BEGIN TO CLOCK MILES. THIS UNIT WILL ALSO DELIMIT YOUR VEHICLES AND REMOVE THE 112 MPH RESTRICTION.